Autonomous vehicles (AVs) have held the attention of futurists and technology enthusiasts for some time as evidenced by the continuous research and development in autonomous vehicle technologies over the past two decades. Rapid advances in robotics, artificial intelligence, computer vision, and edge computing capabilities are resulting in machines that can potentially think, see, hear, and move more deftly than humans. AVs in the form of self-driving cars have become the subject of both hype and intense competition among auto majors and technology companies. Self-driving car prototypes that are decked in lidars, radars, cameras, ultrasonic sensors — along with heavy computational capabilities under the hood to recognize and maneuver around obstacles — is becoming a common sight in many cities. With the emergence of sophisticated autonomous vehicle technologies, we are now on the cusp of their rapid deployment in industrial applications, and the confluence of the Internet of Things (IoT) and AV technologies are poised to re-make and re-imagine industries. While AVs may have only recently caught the consumer’s imagination, they are by no means new to the industrial community. Vehicle intelligence that enabled navigation around obstacles has been evolving for a number of years. Automated guided carts (AGCs) designed to follow magnetic tape and deliver loads of around 1,200 pounds from point to point were introduced as early as 2005. The very next year saw the introduction of automatic trailer loading (ATL) technology that was more advanced than that of an AGC and aided warehouse loading activities. Automated guided vehicles (AGVs) later followed in 2007. AGVs are computer-controlled mobile robots with roller beds or forks for material handling, whereas AGCs are limited to carrying a frame that holds many parts and products. Between 2007 and 2011, AGVs began using computer vision, localization, and mapping capabilities for navigation. With this advancement, AGVs became easily reprogrammable, meaning the warehouse required no infrastructural changes in the layout that affected the path used by the AGV, nor any new cables, magnetic strips, or reflectors. The AGV only needed to tour the new layout to update the map of the floor in the AGV’s database. Turnkey and plug-and-play kits now exist for converting normal trucks into AGVs. Toyota worked with AutoGuide Systems, a UK based mobile robots company, and came up with a solution that can convert a Toyota Class III tugger vehicle into an AGV. Egemin Automation, a Michigan-based company in AGVs, teamed up with Mitsubishi Caterpillar Forklift America (MCFA) to create a solution in which the lift truck can be made to operate as a traditional lift truck, or enable its operation as a fully automated AGV that has loading and unloading features. Industry leaders have already identified the AGV opportunity, likely to be a $2.74 billion market by 2023, with Amazon getting a head start through its Kiva Systems acquisition in 2012. While we currently find AGVs mainly in warehouses managing inventory, we should soon see them in healthcare, hospitality, and other spheres where they can replace repetitive and laborious tasks. Industries that utilize AVs are those where the stringent safety requirements and regulations that exist for passenger AVs either don’t exist or are less restrictive. These industries include, but are not limited to, agriculture, retail, manufacturing, logistics and delivery, public transport, commercial freight transport, and mining. Agricultural robotics is already a $3 billion industry, and is likely to grow to $12 billion by 2026, driven by the potential for autonomous technologies to control costs while increasing output. An autonomous tractor by CNH Technologies, deep into life science research, for example, equipped with GPS and sensor technologies, could work unmanned around the clock. New Holland’s T8 Blue Power tractor is an unmanned autonomous vehicle whose sensors can also collect data on soil conditions, offering opportunities to improve maintenance of planted crops. Some self-driving tractors provide guidance on fertilizer application, while maneuvering around and away from growing plants. Unlike humans, autonomous vehicles can work regardless of light conditions. Likewise, the guidance equipment they use in field navigation provides accurate information even in dense fog, thick dust, and heavy winds — conditions that can otherwise impact a human driver’s visibility. Having signaled significant interest in using robotics to supplement its workforce, many brick-and-mortar retailers like Target are currently exploring and sourcing robotic products. For instance, some are evaluating robots as in-store shopping assistants to help customers find products, retrieve products placed on hard-to-reach shelves, and provide additional information on products. Conversational robots that can pull up a customer’s profile can additionally help the store by upselling products based on the customer’s recent purchases. Fellow Robots, a company that builds autonomous robots and associated applications, offers robots that can perform inventory control as well as guide customers to the exact location where a particular product is located. Industry 4.0 impacts the complete manufacturing value chain — from raw materials, to unfinished goods, to the production shop floor, to the warehouse, to storage and delivery. As information from each stage is leveraged to introduce more automation in the next, the manufacturing supply chain becomes smarter with each progressive stage. Since automation is at the core of Industry 4.0, robots will be an essential part of manufacturing. Invariably, as smarter environments give rise to more information, robots will become more intelligent and easier to operate. Indeed, the ultimate goal of Industry 4.0 is an autonomous smart factory that can produce customizable products. Otto Motors, a division of Clearpath Robotics, builds self-driving vehicles for material transport in a manufacturing or industrial site. The burgeoning area of human-robot collaboration is transforming the manufacturing landscape. Robots, with their superior skills in repetitive tasks that are focused on precision and speed, provide workers with opportunities to focus on more complex tasks, such as those that involve working with large assemblies. The ideal factory of the future identifies no separation between automated and manual workstations: humans and robots will collaborate optimally without a safety fence separating them. Just as start-ups and automotive original equipment manufacturers (OEMs) have shown significant interest in self-driving cars targeted to consumers, businesses and governmental bodies are also exploring opportunities for autonomous vehicles in public transport. Tests are underway for autonomous shuttles that travel a prescribed route between two fixed locations with previously identified stops. Since the vehicles travel on well-mapped and pre-identified routes, the uncertainty in driving conditions is minimized. Yutong, a large bus manufacturer in China, piloted its first autonomous shuttle in 2015. An initiative in the Netherlands called WEpod is among the first pilots of public transportation vehicles on public roads. Waymo, the self-driving subsidiary of Alphabet, will deploy as many as 62,000 Chrysler Pacifica minivans in Phoenix as a part of a ride-hailing service. nuTonomy, recently acquired by Delphi, is working on a strategic partnership with Lyft to launch robot taxis in Boston. Although autonomous vehicles for public transport are being introduced as robotic-taxi fleets, the fundamental premise that will drive their adoption is multi-modal transport. The goal is to provide a seamless digital experience of the journey from point A to B by integrating all modes of transport into a single platform. Autonomous vehicles clearly have a role to play here, especially in their ability to address the last mile – the last leg in the journey to reach a final destination after travel on public transport has been completed. There is a huge demand in the commercial and freight business, where the goal is to deliver goods from an origin to a destination that may be thousands of miles away. An attractive value proposition for trucking companies is to introduce autonomously-driven trucks that can continue driving on highways towards their destinations while the drivers catch a quick nap. This allows trucks to cover more distance in the same time — a potential avenue for increasing operating revenues. When trucks are moving on highways, the requirement of safe autonomous driving is not as critical as when they are moving inside cities. Challenges arise, however, when trucks must enter the dynamically-changing driving environment of a city, especially given their large size. Other challenges in commercial transport that will impact adoption of autonomous trucks include merging onto or exiting a highway, managing tight spaces, and navigating busy thoroughfares. Embark, a start-up based in San Mateo, California that is focused on building self-driving trucks, and Otto, a company bought by Uber, have been working towards building self-driving technology in trucks. Waymo has also moved beyond self-driving cars and taxis and introduced self-driving trucks to address the opportunities in this space. Mining companies have been focused on autonomous technology for a long time, due to its potential to mitigate and avoid hazards associated with the industry. Because AVs can work around the clock, they not only improve worker safety in mining, they also improve mine productivity and yield-levels. These vehicles include features such as fleet tracking, proximity detection, remote machine operation, and more. Coupled with a mine that is digitally mapped, AVs can optimize their movement by leveraging all possible haulage routes through the mine. In addition, autonomous or semi-autonomous trucks in a mine can receive instructions from an operator in a central command center. Companies like Caterpillar have semi-autonomous vehicles operating in various mines across the world. Rio Tinto operates a fleet of autonomous machines at several of its sites in Western Australia, as well as several fully autonomous drills. Machine-to-machine communication, along with the availability of cloud computing platforms and ubiquitous sensing, have led to the era of the internet of things (IoT). Combined advancements in robotics, autonomous technologies, and IoT, have created an ideal environment for the adoption of connected industrial autonomous vehicles across industries. In manufacturing, robots traversing the shop floor can gather useful information from the production line on available inventory, tool availability, and calibration needs, and identify potential hazards and near-misses to ensure worker safety. Robots can work around the clock and prepare the line for the next production shift. Here, robots are also connected and communicate with each other, collaboratively deciding which robot should do a particular task. All the autonomously moving robots, as well as machines on the floor, are connected to a back-end system, either on-premises or cloud-based, that will process the data these machines provide and accordingly perform tasks that optimize the system-level performance on the manufacturing floor. Here robots and humans collaboratively improve the operational efficiency and productivity of the manufacturing line. Similar use cases and associated benefits can be expected in other industries, such as mining and oil and gas. Connected industrial autonomous vehicles are poised to dramatically change the industrial landscape alongside the gradual but steady adoption of autonomous technologies in consumer automotive vehicles and public transport. The rise of industrial autonomous vehicles signals an exciting future ahead. Garima is a Global Business Manager in Wipro’s Global 100 leadership program, working across functions and business units in India and the US, with rotations in pre-sales, sales, delivery and domain consulting. 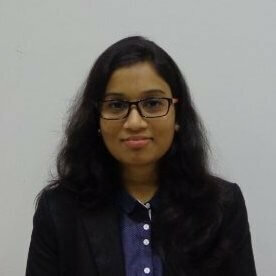 Prior to completing her MBA from the Indian Institute of Management in Bangalore, she worked as an engineer on automotive core chip design for three years. She is passionate about robotics and all things related to autonomous and connected vehicles. 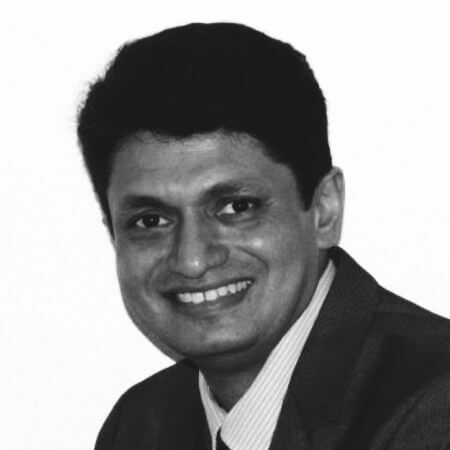 Dr. Madhusudan Pai leads IoT partnership initiatives for Wipro Digital. Dr. Pai, passionate about driving new collaborations and partnerships at the confluence of the physical and digital worlds, works closely with the partner ecosystem to co-innovate and define go-tomarket strategies. He drives IoT initiatives by leveraging his extensive past involvement in product strategy, product design, engineering consulting and delivery. Dr. Pai’s domain expertise spans the aviation, energy, aerospace, and heavy manufacturing industries.